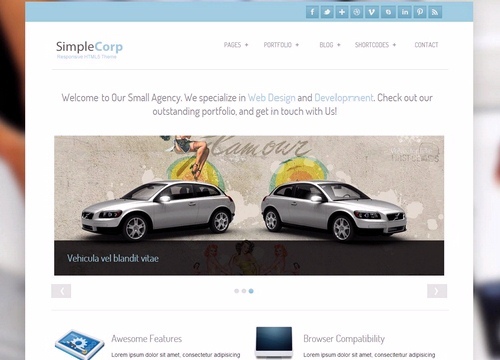 SimpleCorp is a free responsive HTML5 and CSS3 WordPress theme. This theme is perfect for Business, Corporate and Portfolio websites that comes with multiple color schemes. SimpleCorp theme is packed with cool features and options that make the theme easy to configure and administrate. Create your own color scheme. This theme allows you to customize the colors easily. It is not recommended to use Page Speed score to evaluate a WordPress theme performance. This theme demo may not be optimized for Speed. But, you can always optimize it using a WordPress plugin. SimpleCorp theme has numeric built-in pagination as default pagination. No need to install any plugin. SimpleCorp theme allows you to set your Ajax-based contact page template with live form validation and details setup on Options Page.